You may have a number of AVI videos in your collection either from digital camera or shared from a friend. Maybe you want to play, edit and do much more of these AVI video files on your iOS device, while the compatibility of an AVI file format on a Mac operating system might be restricted. 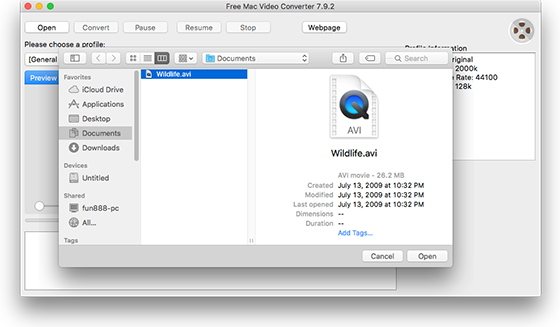 It’ll be more practical to convert these AVI files into MOV format, which is natively supported by all of the Mac OS X-based devices. 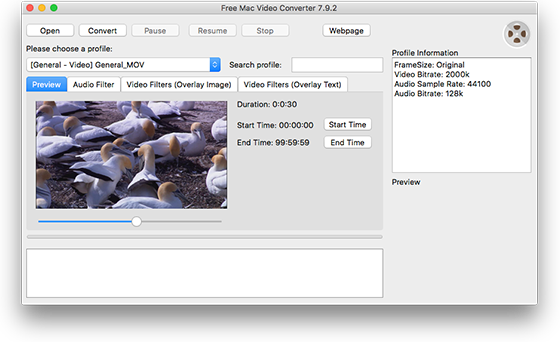 Now, just give Free Mac Video Converter a try, a nice little program that can convert AVI to MOV on your Mac with easy operation and better results. The video will be loaded in the program window immediately. You will find a series of video profiles listed in the dropdown menu of “Please choose a profile”, choose “MOV” as the output format. To quickly find the format you need from the long list, just input the format in the box of “Search profile”.